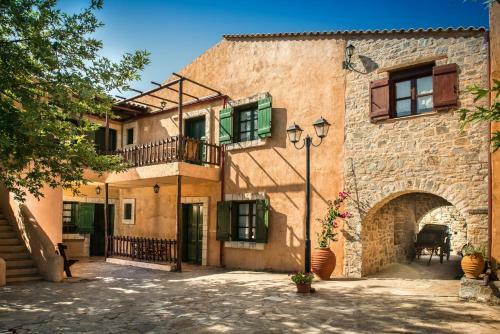 Enagron Ecotourism Village is located in Axos, Rethymno Region. Enagron Ecotourism Village common facilities include bar, garden, restaurant	and a la carte restaurant. The young guests of the villa will benefit from the children playground. The property provides accommodation in studio, family room, 2 bedroom apartment and other might be available upon request. Amenities of the rooms include a/c, heating, etc. All areas of the villa are covered by free Wi-Fi. At the villa there is free parking.